As Baker Ross bloggers, we were recently sent some kits to review from the Baker Ross Spring Range. 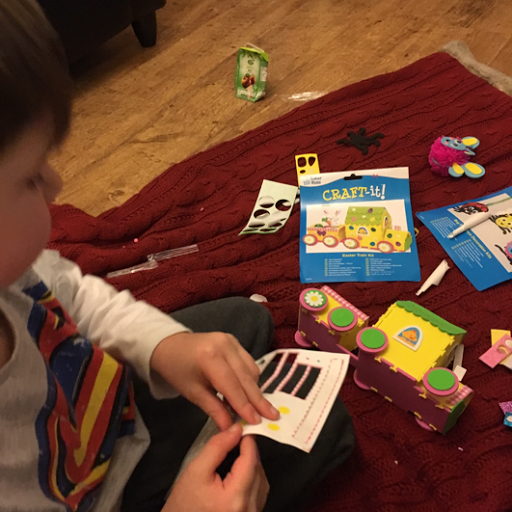 Great for clubs and playdates Baker Ross kits are reasonably priced, you can find all our Baker Ross Review posts here. 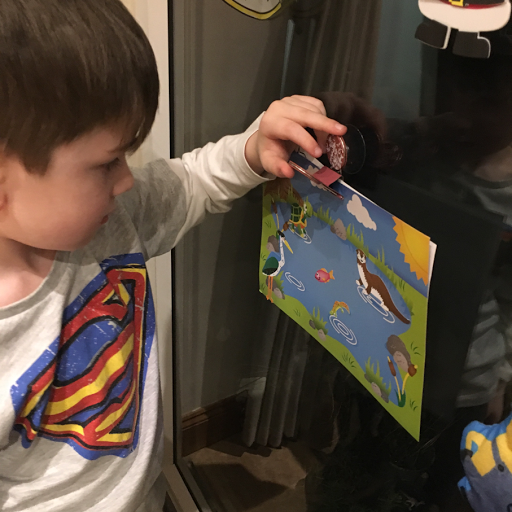 The first thing we used were the Pond pals sticker scenes £3.49 for 4, we are actually using these as a 'reward chart', every time T does something particularly good, he receives a sticker. With 25 stickers this should last a good month ;) and he loves it. 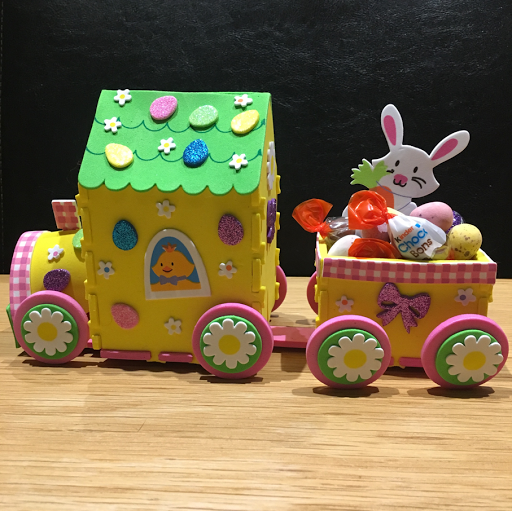 We love the Easter bunny train kit for ages 5+ at the bargain price of £1.99 each! Normal price £2.99. 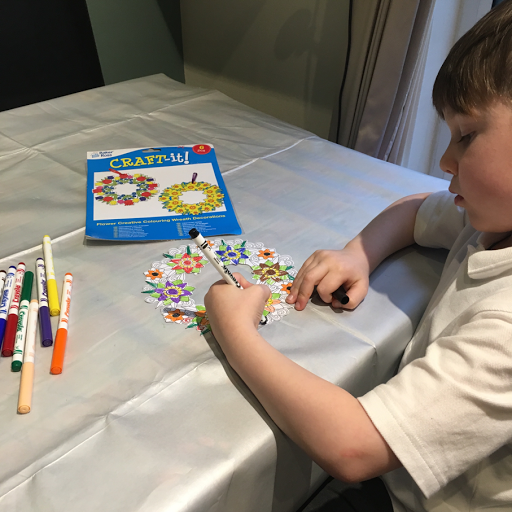 I must admit T found this difficult, there was no way he could make it himself so I made it, but he really enjoyed decorating it. I was really impressed with how sturdy it was once made and I'm sure it will last many years as an Easter decoration. 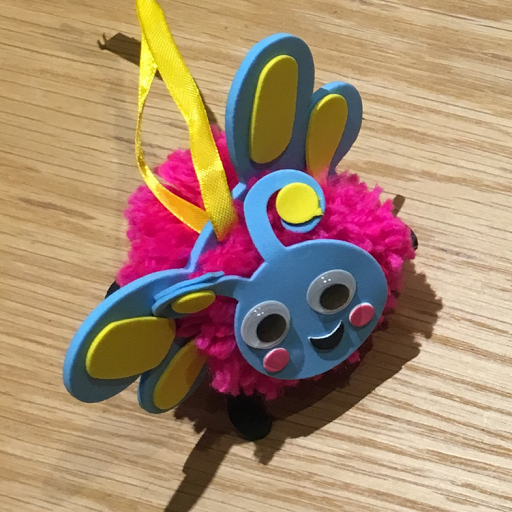 These cute Bug pom-pom kits are aimed at children aged 5+ I'll be honest, I don't know any 5 year olds who would sit and make a pom-pom, so I'd say an adult is definitely needed, they are £3.75 for 3. 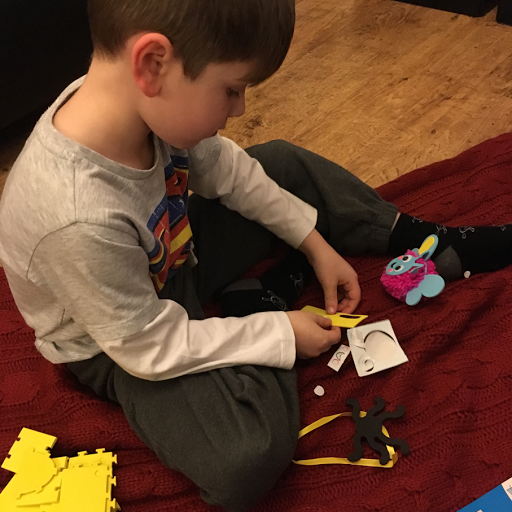 I made up the pom-pom and T put it all together, he managed that with no trouble at all, although the foam doesn't stick well to the wool so some fabric glue might be needed. 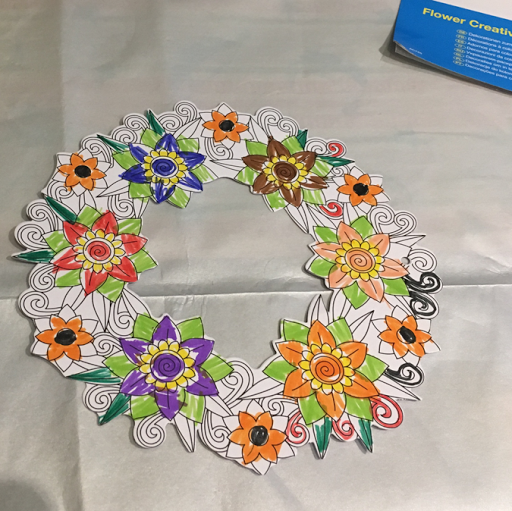 Finally T made one of these Creative colouring flower wreaths which are £2.50 for 6, the patterns are quite detailed and some areas were a bit of a challenge to him, but he did well and enjoyed what he did. I helped him finish it off and we have hung it on one of our doors. 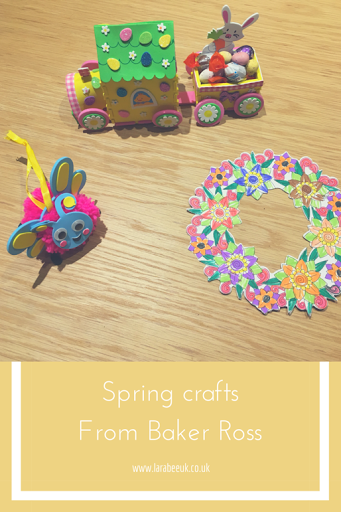 Look out for some Mothers Day crafts from Baker Ross next week!